Cha Wa made their way across the globe from New Orleans to New Zealand for two packed-out music festivals in late March: CubaDupa and Titirangi Music Festival. Read more about their experience in TV NZ’s feature here. Also, click here to hear their segment on Radio New Zealand. 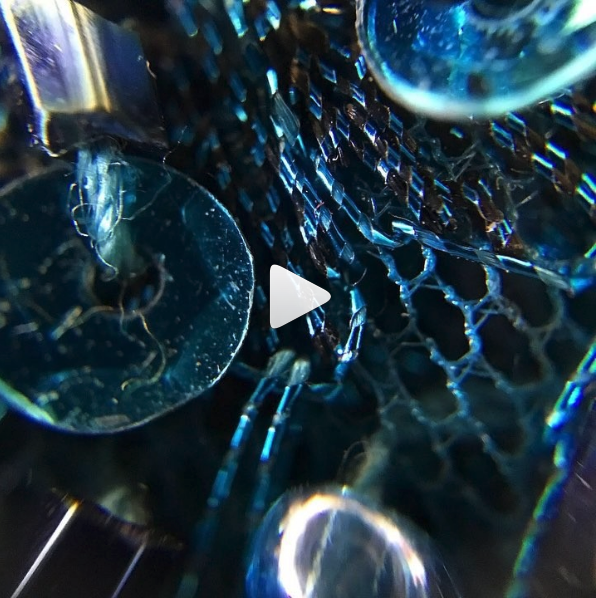 Apple featured Cha Wa’s rendition of ‘Golden Crown’ in their Instagram post about Mardi Gras. Click here to view the post. 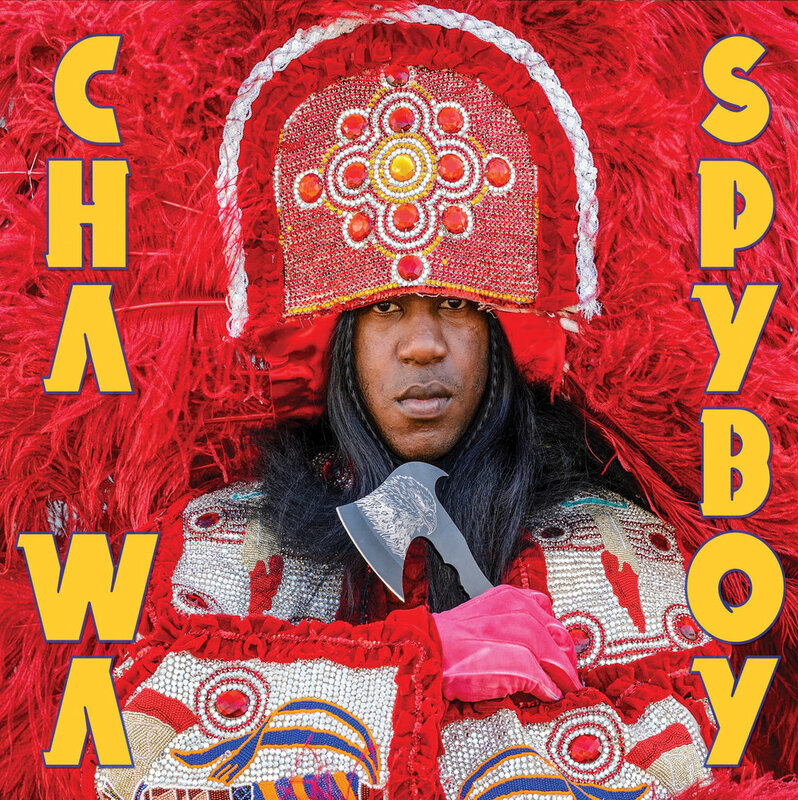 On December 7th, the Recording Academy announced the nominations for the 61st Grammy® Awards, which included Cha Wa’s Spyboy in the category of Best Regional Roots Music Album. This is Cha Wa’s first Grammy nomination, and the winner will be announced at the awards show on February 10th in Los Angeles. To see the full list of nominations, click here. Cha Wa was featured at one of Canada’s most prestigious showcase events, Mundial Montreal, in November. The conference is known to attract talent buyers and industry professionals from all over Canada and even stretching into the United States, Europe, and beyond. The showcase is one of several that has chosen to feature Cha Wa in recent months, as the band continues to gain recognition. Cha Wa is excited to announce new booking agency representation in several regions around the world. Tom Gold at Concerted Efforts will now represent Cha Wa in the United States, Australia, Asia, Africa, and South America. Julien Paquin will now represent Cha Wa in Canada. To find more info on how to contact either agent, please click here. Now available on all major streaming services. Click here to stream. Cha Wa was featured on the cover of Pollstar along with an interview about their newest album 'Spyboy'. Click here to read the article. 'Chapters,' which was the first single released in anticipation of 'Spyboy,' is the first song to be featured alongside a music video for the funk band's first full length album. Glide Magazine exclusively premiered the video, which can be viewed by clicking here. In light of an article highlighting Cha Wa's recent successes, Offbeat magazine decided to feature Cha Wa on the cover of their May issue. Click here to read the article. Cha Wa's second album, and first "full-length" album, 'Spyboy,' is officially out! Click here to buy your copy, or click here to stream it on Spotify. Produced by Ben Ellman of 'Galactic,' 'Spyboy' reaches new heights for Cha Wa, who continues to hone their sound and songwriting. Featured as a critics' favorite, Cha Wa had a blast being featured at 2017's Bal Masqué alongside legend Dr. John. They'll be back at the special event in January of 2018, and New Orleans magazine had this to say about what to expect from the performance: "Cha Wa’s 2016 release Funk’n’Feathers was a mini revolution on the local scene as it took the traditions of Mardi Gras Indian chants and funk and gave them a modern flair. They sound both like where New Orleans has been and where it is going.” Check out the full article HERE. Cha wa is excited to announce that it has joined forces with Jameson Music. We are excited to be on this team with so many talented musicians and look forward to all the great opportunities to come. CHA WA CANT WAIT TO BE PART OF A GREAT FESTIVAL THAT SUPPORTS A GREAT CAUSE WITH SO MANY NEW ORLEANS MUSICIANS! Cha Wa is excited to announce that they have been featured on Tipitina's "FREE FRIDAYS" lineup for this summer! They will be performing on June 30. Click the photo for more info! Cha Wa will be performing at New Orleans Jazz & Heritage Festival on Thursday, May 4th. Click the image above to see what other amazing artists will be on stage that day! 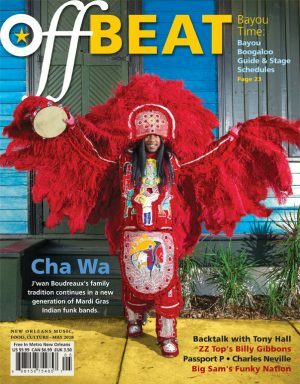 Cha Wa’s 2016 release “Funk’n’Feathers" was nominated for a Best Of The Beat Award by OffBeat Magazine in the category of Best R&B/Funk Album, alongside other great New Orleans artists like Aaron Neville. The album was also named one of the Top 50 Louisiana albums of the year! "So what should you expect when you go to see Cha Wa tomorrow evening? According to Gelini, you'd better get ready for a 'New Orleans Mardi Gras street parade, lightning in a bottle musicianship, and a dance party all in one!' Sounds good to us!" Read more here. Cha Wa is excited to announce that they'll be a part of this year's Bear Creek Bayou lineup. To learn more about this festival and grab your tickets head on over their website. OffBeat Magazine Reviews "Funk 'n' Feathers"
OffBeat Magazine reviewed "Funk 'n' Feathers." You can check out what they said by clicking the photo above! Cha Wa's debut album, "Funk 'n' Feathers," is now available for purchase on iTunes. You can also stream the album on Spotify. "Cha Wa hail from New Orleans and carry on the long cherished traditions of the Mardi Gras Indians, while infusing their music with contemporary NOLA street funk....a grand gumbo of singing, chanting, intoxicating rhythms, and some deep funk grooves that are simply impossible to resist." To read the rest of the article, click here. To see Cha Wa's performance of "Li'l Liza Jane" on New Orleans Live click the photo above!